Three McDonalds, 3 Whataburgers, 2 Wendys, 2 Sonics, a couple of Chili’s, a Pluckers, a Fuddruckers, Sandeez Hamburger Hut, a P. Terry’s Burger Stand, oooh and a Rudy’s BBQ later and we finally arrived at All Star Burger in the Hill Country Galleria. After receiving a tweet from them a little while back, checking out their website, and being intrigued by their desire to provide their favorite American burgers with an updated twist, I knew I had to check this place out. To tell you the truth though, the wife and I nearly didn’t make it there. Overwhelmed by the daunting drive ahead of us, the wife kept looking for a way out by suggesting we eat at any one of the many restaurants we passed along the way. It didn’t help that I got stuck at almost every traffic light :(. But like I said, we finally made it. 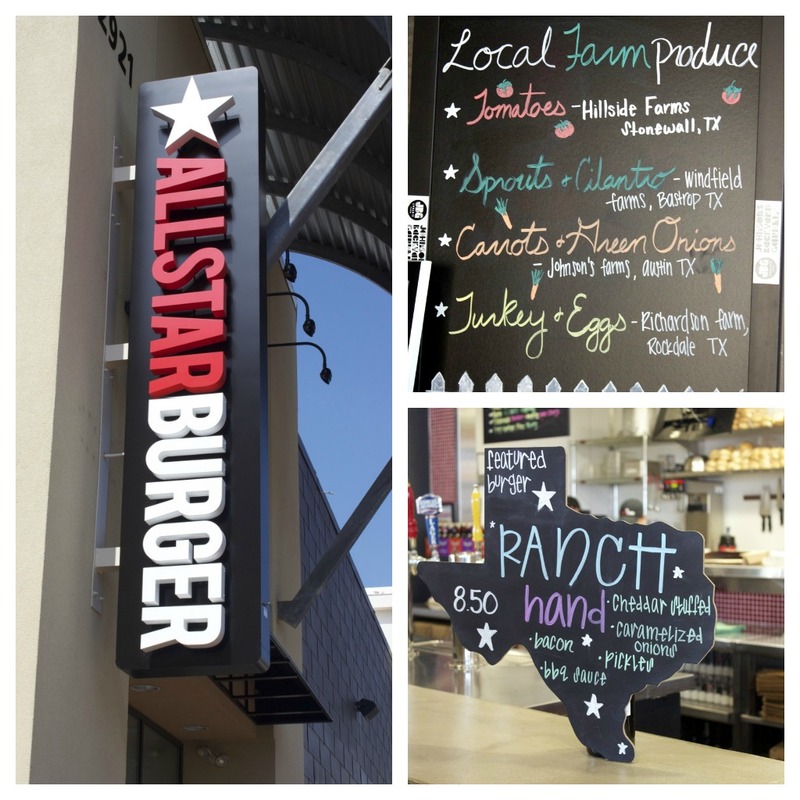 All Star Burger is committed to providing its customers with a better burger filled with better ingredients. They try to use fresh ingredients from local farmers and vendors, but the star has to be the Premium Gold Pure Country Angus Beef that they use for their juicy burger patties. These cows are fed a 100% vegetarian diet and have never received any artificial growth hormones or antibiotics (source). Although they don’t grind their meat in house nor do they bake their own buns, it is clear that they outsource quality products. Oh and did I mention that they serve beer AND wine here?!?! Shiner Bock, Coors Light, Sam Adams, and Fireman’s #4 ON TAP! Sorry…didn’t mean to get so excited there. My burger was cooked to a beautiful medium, topped with cheddar, Bibb lettuce, roasted jalapeños, garlic-cilantro cream cheese and served on one of their preservative-free buns. All the components seemed to be right up my alley, so naturally, I was truly looking forward to this burger……but (and I hate to say this) it missed the mark for me. As I made my way through The West, I kept looking for a little more flavor. Something pickled, perhaps? Maybe some raw onion? Maybe more seasoning on the patty? More cheese? I was tempted to add some ketchup, but I wanted to enjoy the burger in its natural state, the way its culinary creator intended for it to be eaten. The beef patty was succulent, but could’ve been packed a little tighter. Burger bits kept crumbling off as I ate. 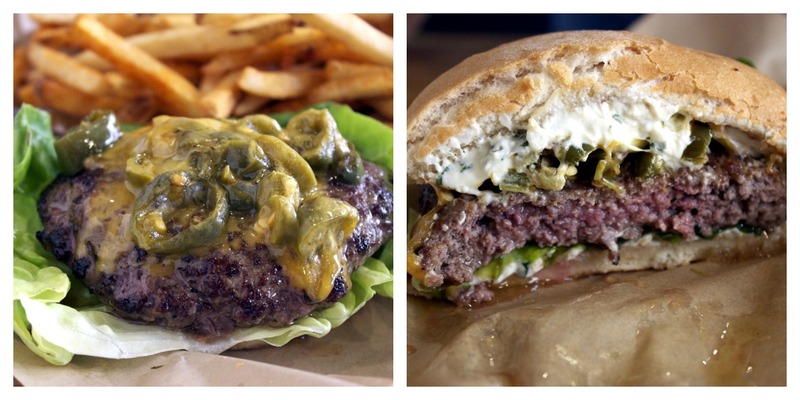 One thing was unmistakeable, though – All Star Burger uses some top notch ingredients. So even though The West didn’t meet my flavor expectations, I couldn’t help but savor the quality of the components. I also got a side of their “old school” fries rather than their sweet potato fries. Nothing to write home about. Just a solid burger accompaniment. My partner in crime, the wife, ordered the ML Kaiser – venison patty stuffed with pepper jack cheese, green leaf lettuce, caramelized onions, spicy mustard, all served on a wheat bun. She was really excited about her first venison experience and was hoping to get a full patty of venison without the cheese stuffed inside, but this option was not available as all the patties were pre-formed. And just as she feared, the cheese overwhelmed the meat for her. Funny thing is…I really liked her burger. 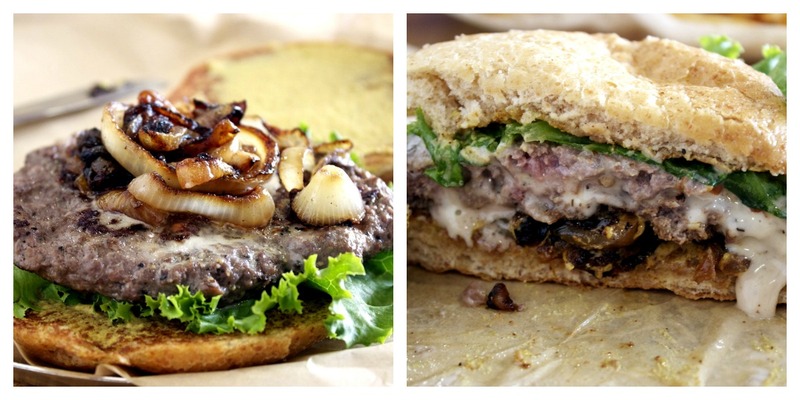 The strong, bold flavors of the cheese and mustard balanced the richness of the juicy venison patty. And what really made it for me were the caramelized onions – possibly the best caramelized onions I’ve ever had on a burger. They had a delicious roasted/charred flavor, but something even deeper than that…umami?? Whatever they do to them, they just need to keep doing it because I could’ve eaten spoonfuls of the onions…by themselves!! Although my burger experiences were mixed, I must say that All Star Burger is definitely onto something and, I can only imagine, bound to get better with time. I didn’t get a chance to try one of their milkshakes, but I hear that they’re something else. They’re made with Blue Bell ice cream, so they’ve got to be good (I love me some Blue Bell ice cream!!). If you’re ever in the Bee Caves area of Austin, All Star Burger is definitely worth a visit.